More about iittala Toikka Cedar Waxwing – FinnFest 2015 Bird Oiva Toikka immortalizes the Cedar Waxwing in honor of FinnFest 2015, forever capturing its beauty in glass. Like its inspiration, his creation flaunts the namesake red spot on its wing and a tail dipped in luminous yellow. A crest and black, mask-like break adds to the majestic look of its sleek silhouette. Limited edition, each mouth-blown piece is etched with "FinnFest 2015 O. Toikka IITTALA" to remind you of its special story. 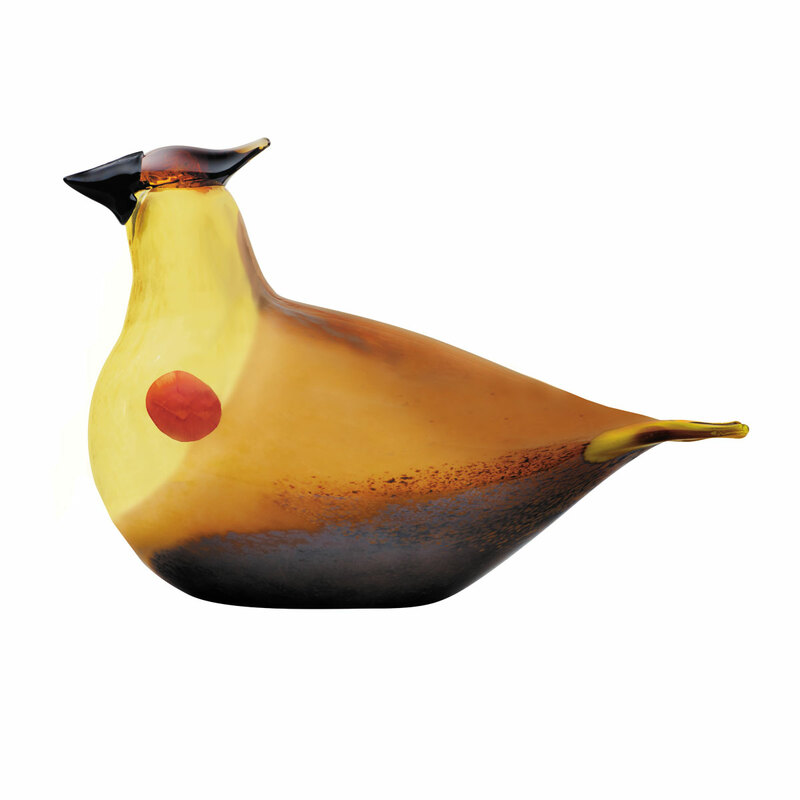 This handcrafted nature makes each Cedar Waxwing a unique gift or rare addition to your own collection.Besides being the site of FinnFest 2015, Buffalo, NY is a promising place to spot one or more of these stunning birds; after all, the social creatures tend to nest in loose clusters or wander widely in groups. Once it finds its way into your growing flock of Toikka birds, it is sure to gain the attention and admiration of all who encounter it. The birds of Oiva Toikka's 2015 collection are individually mouth-blown by the master glassblowers at iittala’s glassworks in Finland. 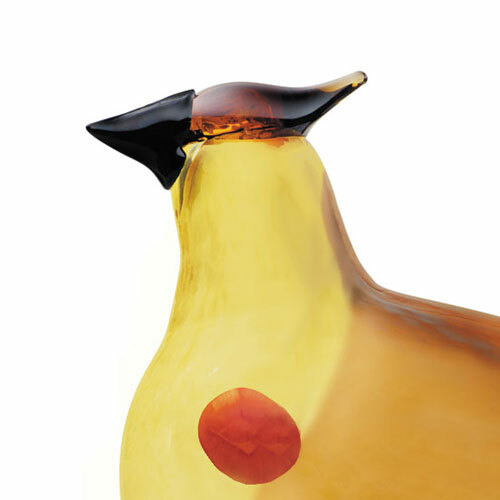 Each handcrafted Cedar Waxwing carries the signature “FinnFest 2015 O. Toikka IITTALA” on its base to ensure authenticity.